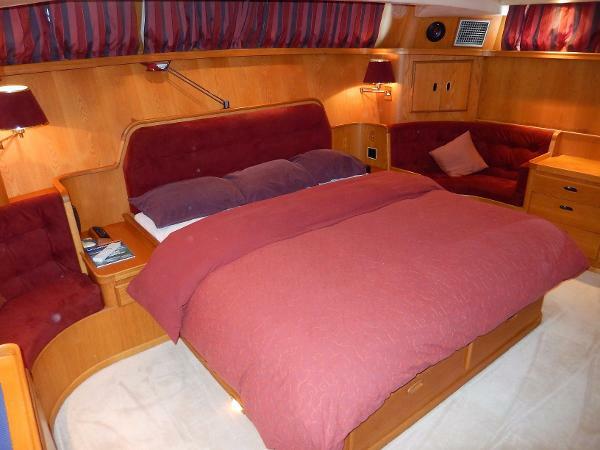 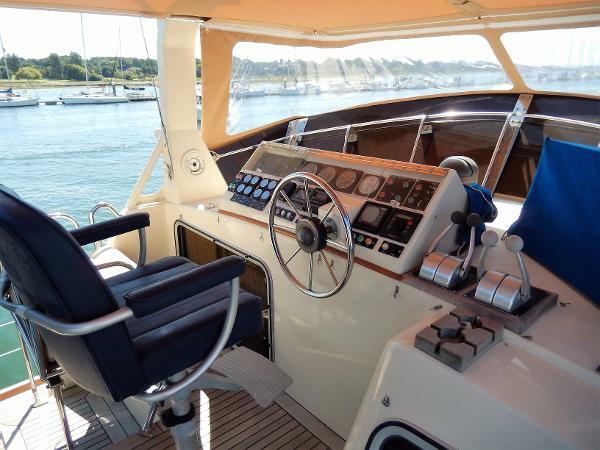 This remarkable motor yacht was originally launched in 1987 with the hull laid up by Halmatic to the designs of G L Watson and the final fit out and finish by Camper and Nicholson. 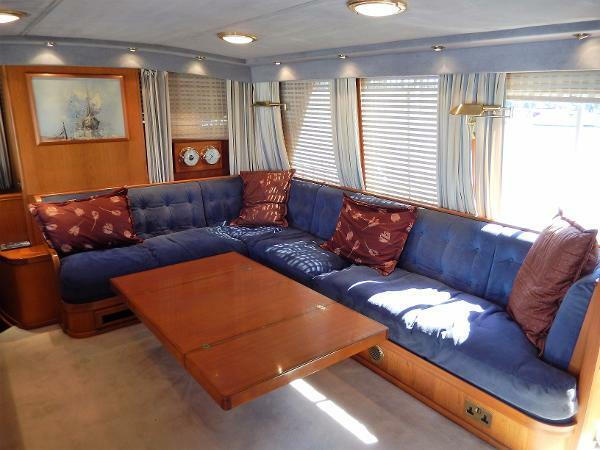 With an original design remit based around extended cruising and highlighting security and safety at sea, 'Cobalt' fits the bill on all counts. 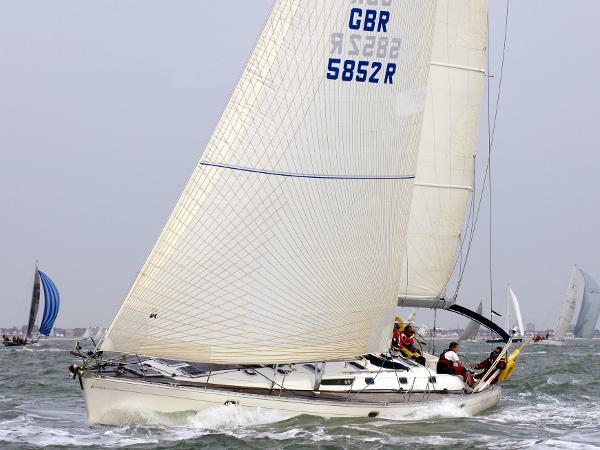 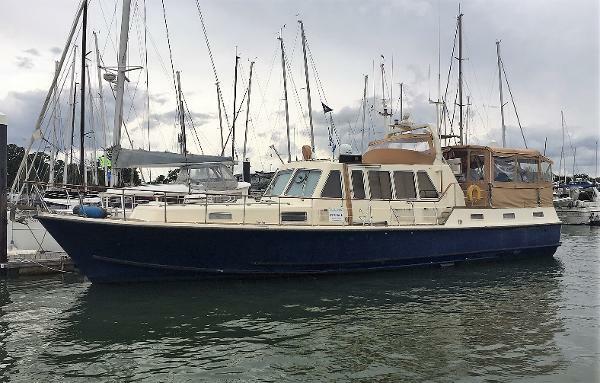 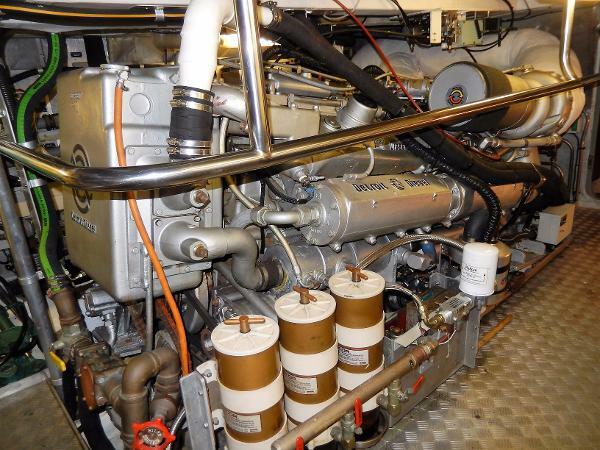 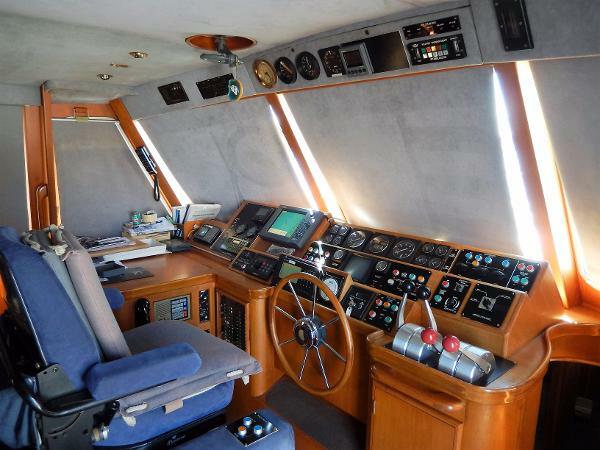 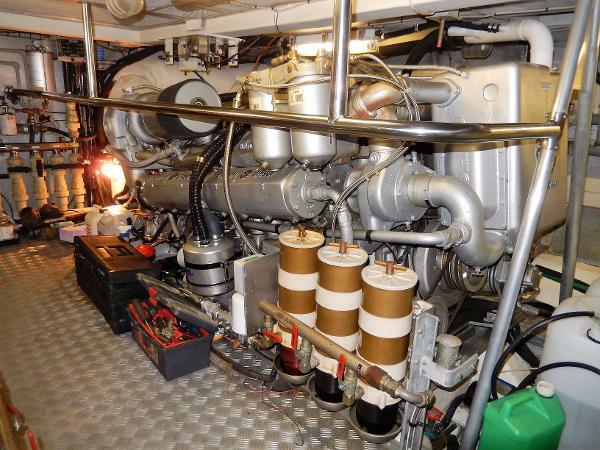 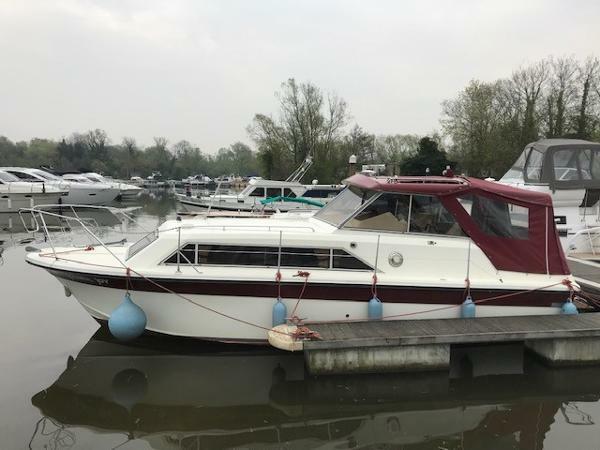 Powered by twin 1080hp GM 12 VTA Detroit diesels, she will pick up her skirts to reach speeds in excess of 25 knots but also has a range of approximately 2000 nautical miles when displacement cruising. 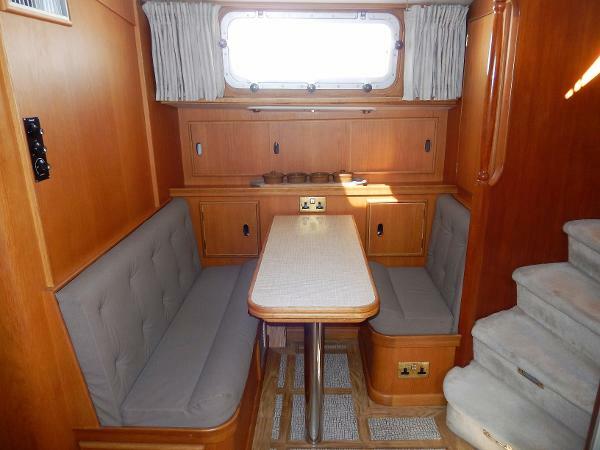 With the expertise of true shipwrights at initial build, her wonderful light oak interior joinery is of a quality rarely seen with an appearance that belies her years. 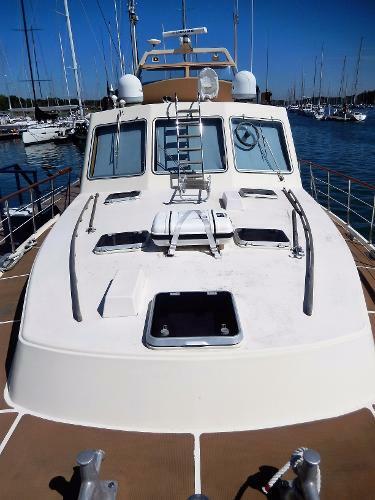 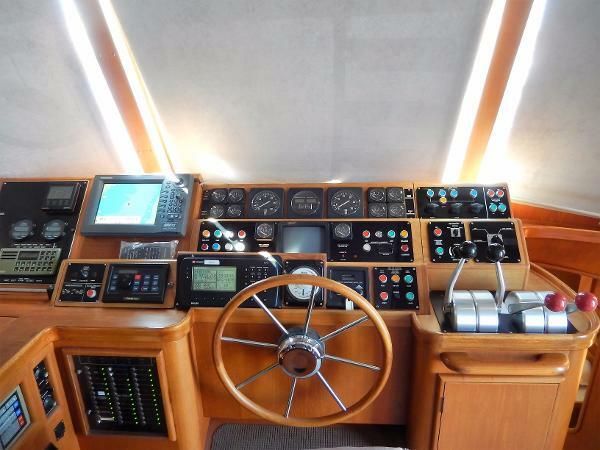 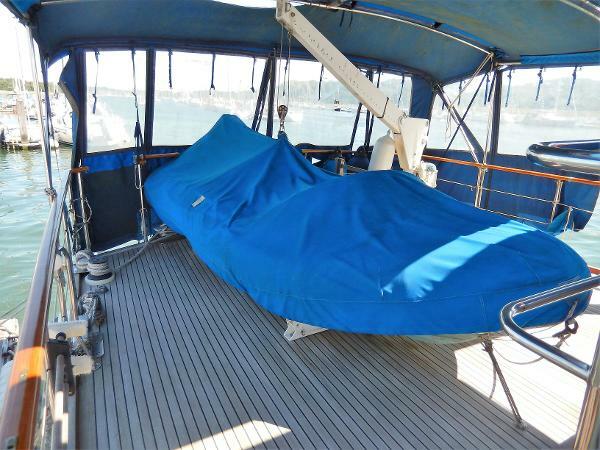 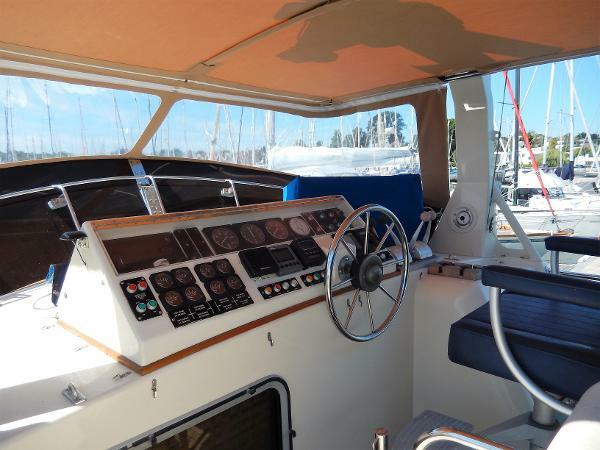 Cobalt has always been skipper maintained during her current ownership and is offered for sale with a very extensive inventory of equipment. 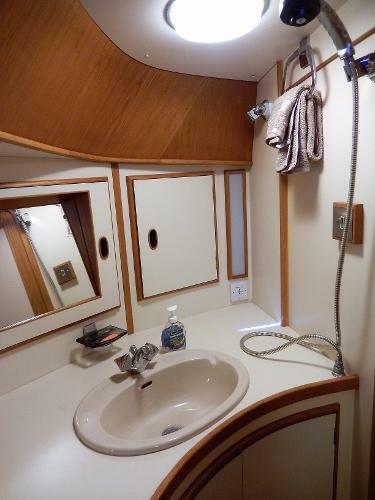 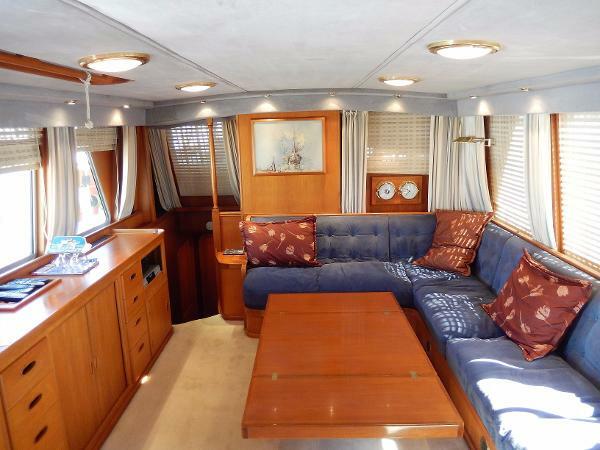 Her internal layout combines a palatial aft cabin, large and airy saloon with lower helm station, well appointed galley and an ingenious convertible forward cabin layout. 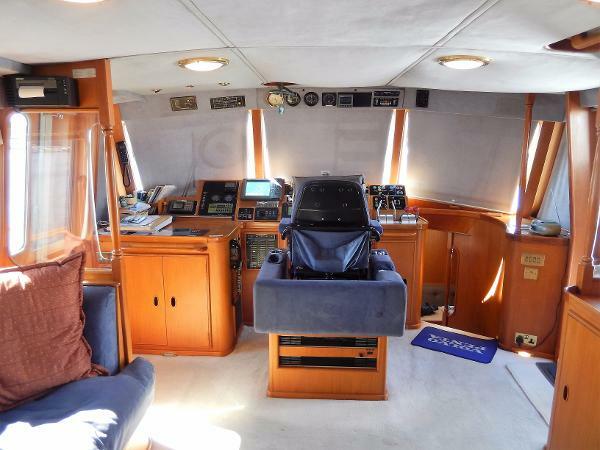 Externally, Cobalt offers an aft deck made for entertaining with a command bridge style helm station and wide and very secure side decks. 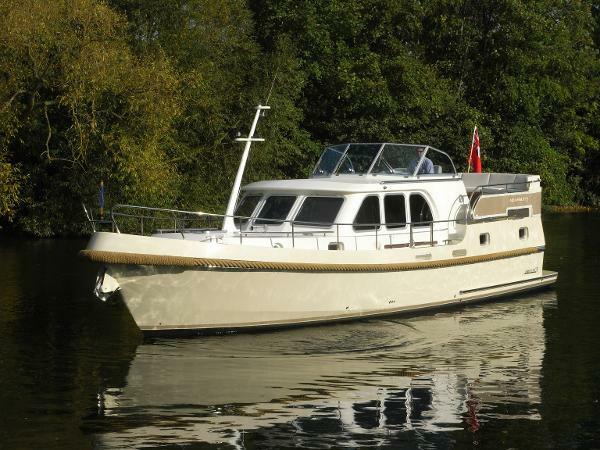 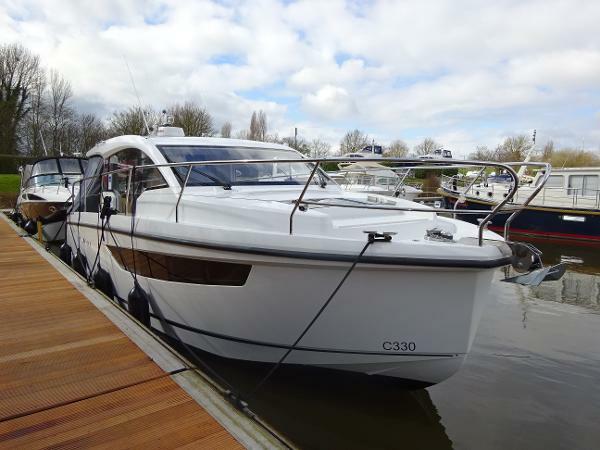 Cobalt must be seen to really appreciate her build quality but we are convinced she would make the perfect motor yacht for those minded towards some serious passage making. 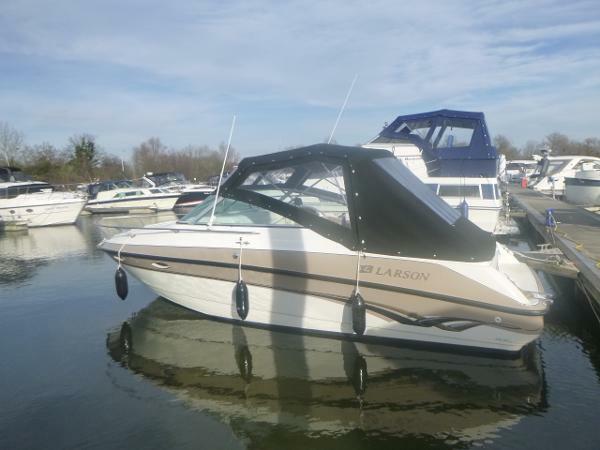 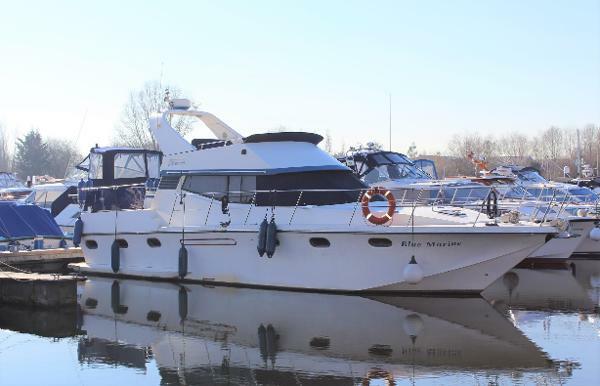 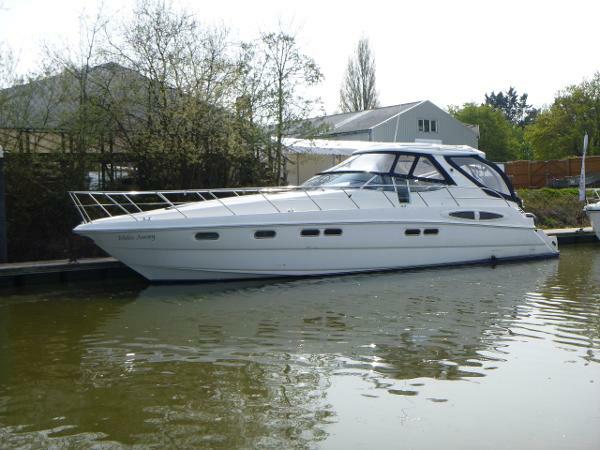 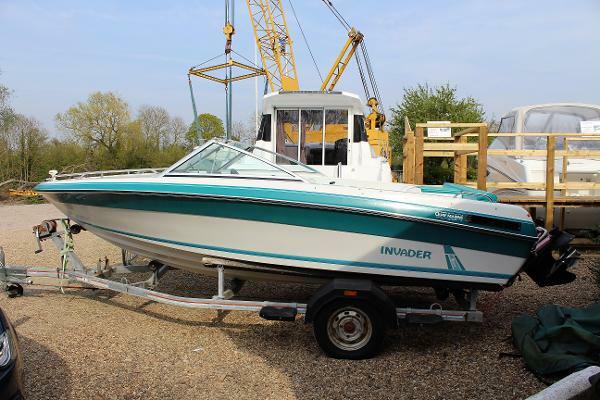 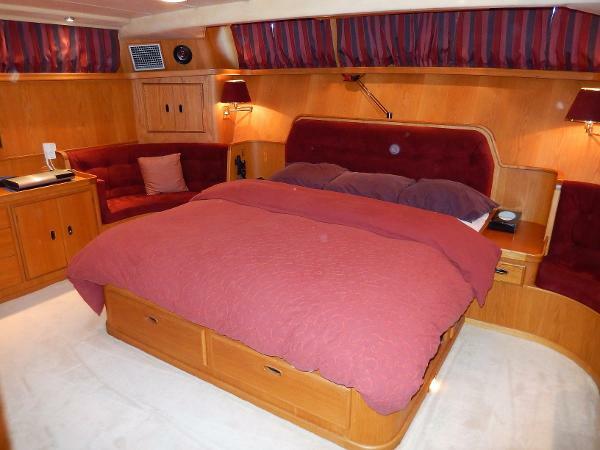 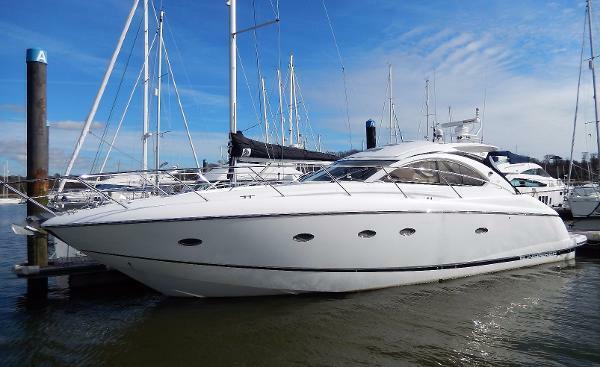 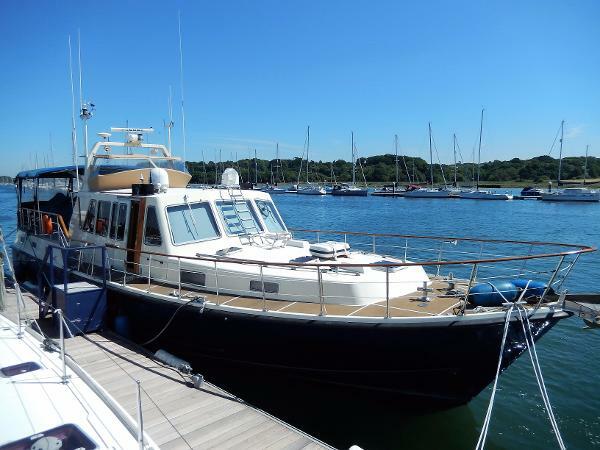 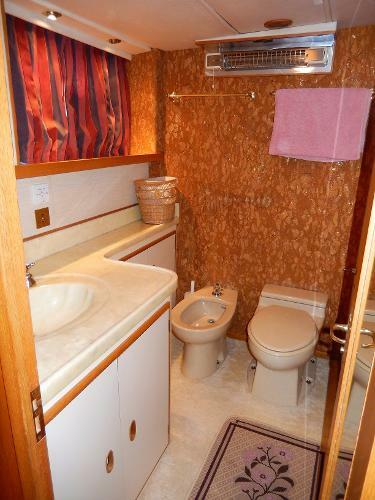 Available to view 7 days a week on her Hamble River berth. 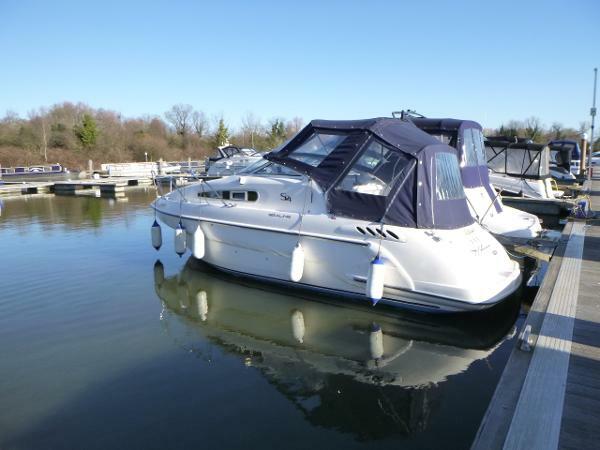 Please contact Alex or Chris on 023 8045 8524 for further information or to arrange your viewing. 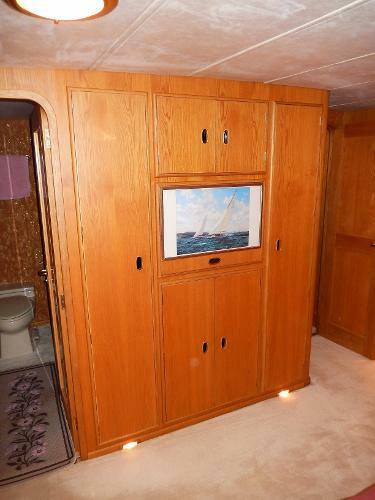 A full set of external and internal photos are available on request. 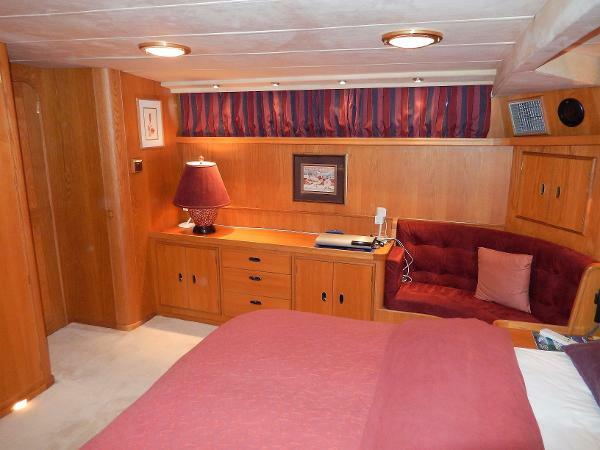 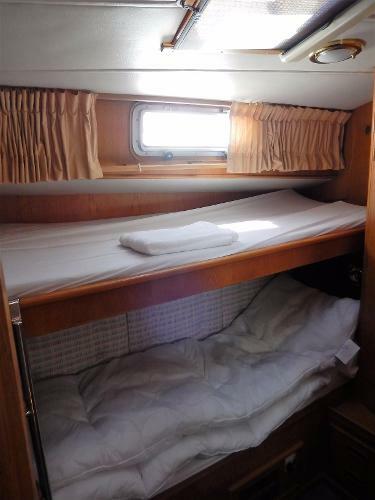 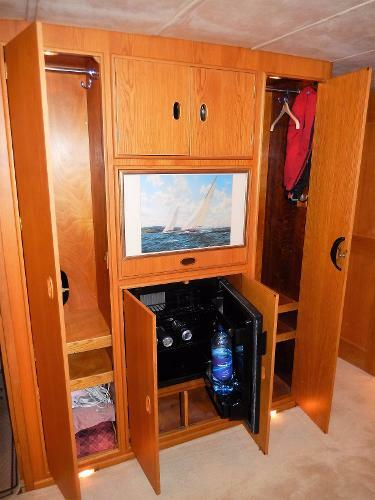 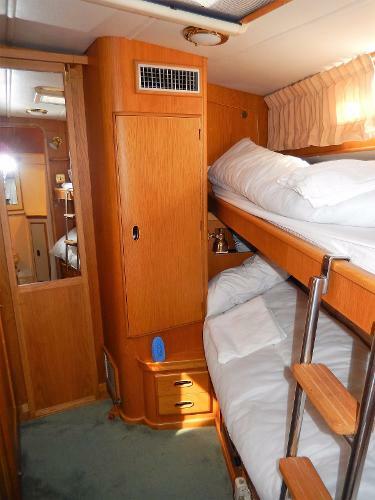 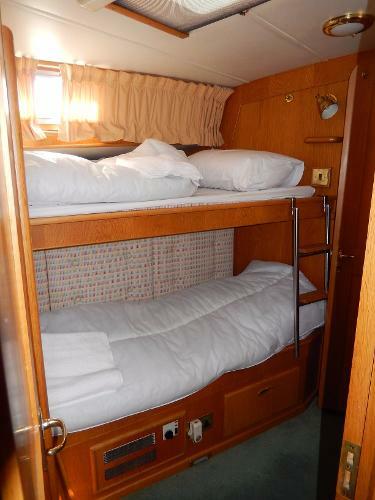 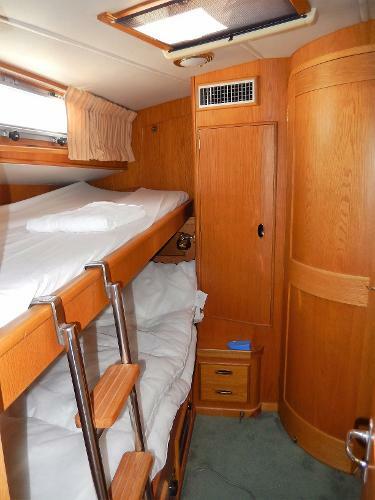 Forward port and starboard cabins are symmetrical with two bunk berths that have a removal partitioning bulkhead to create one larger cabin. 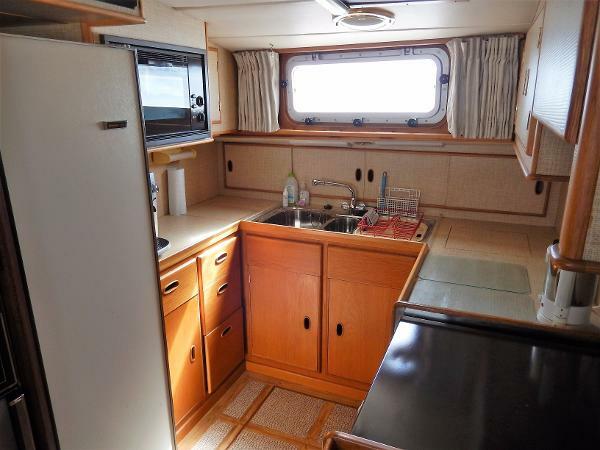 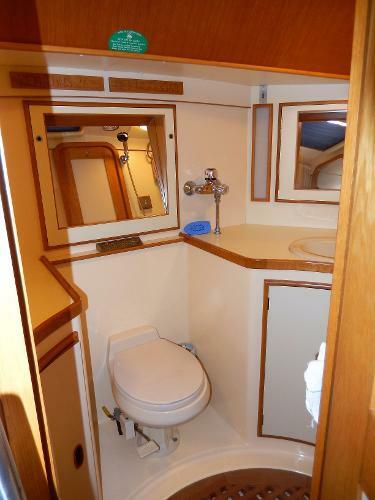 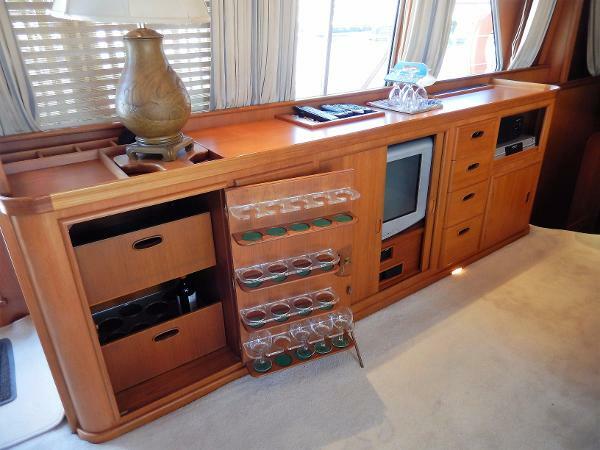 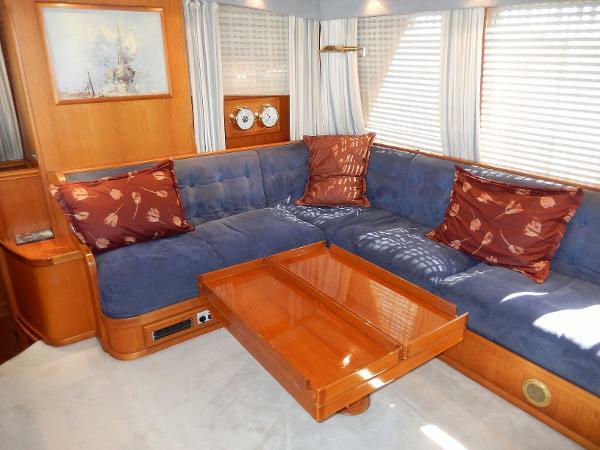 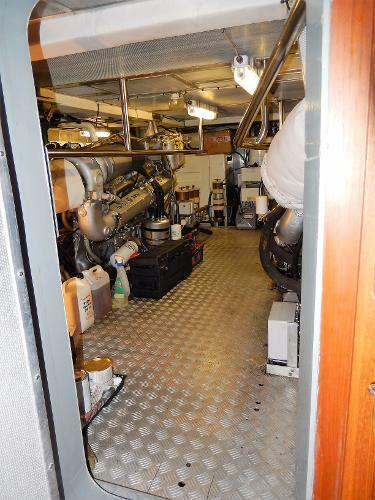 Dinette on the starboard side opposite the galley with folding table.